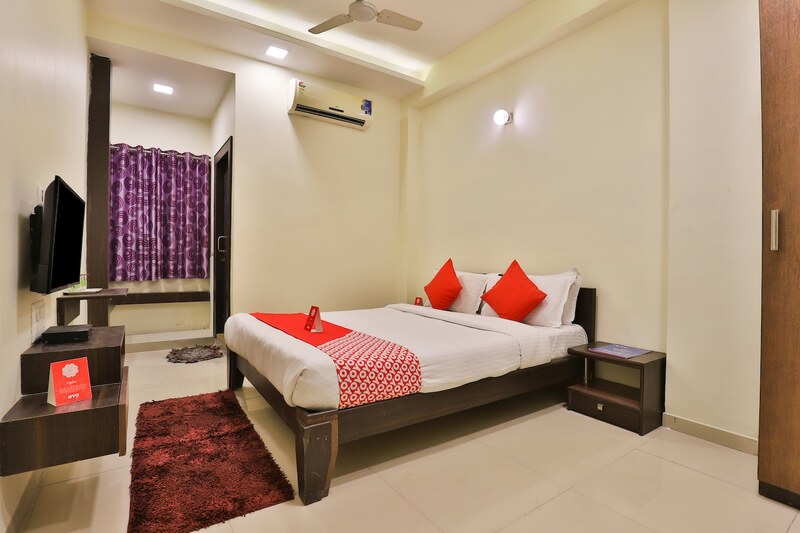 Hotel Park Sangam is a wonderful piece of property for travelers looking for accommodation choices that can be booked within a pocket-friendly price range in Ahmedabad. The hotel is located on the Sarkhej Gandhinagar Road in Sarkhej. The interior decor of the room is of the minimalist nature. The color combination maintained is monochromatic and the bright cushions and bold curtains in every room are the only elements of color. The rooms are very spacious and all rooms have a comfortable feeling. The additional facilities provided by the hotel are free Wi-Fi, a banquet hall, laundry provisions, and CCTV cameras. All these facilities can be used by the guests as and when required. The front desk service is located close to the entrance and is managed by helpful and hospitable staff. The hotel is located close to a number of utilities such as Sanctuary Market Bus Stop, Sarkhej Station Railway Station, Fish Express, Coco's Biryani & Curries, Essem Entertainment Pvt Ltd, and Iscon Mega Mall.